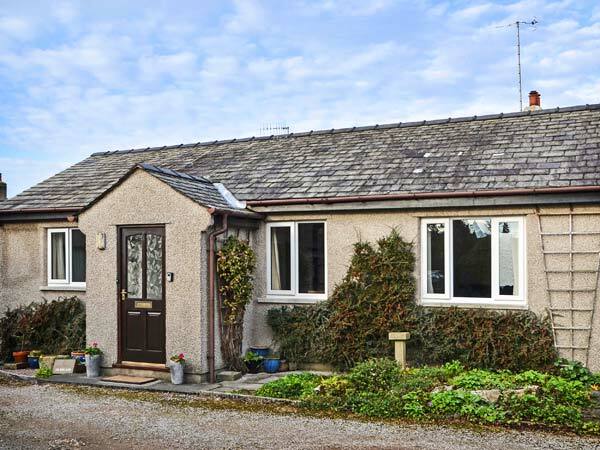 The Bungalow is a well-presented bungalow in the village of Levens near Kendal. 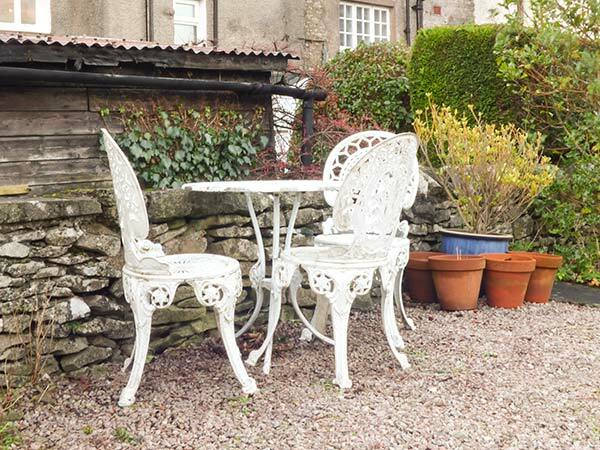 The cottage can sleep three people in a double and a single room, and it has a shower room. The rest of the cottage is made up of a kitchen, dining room and a sitting room which has an electric flame-effect fire. Outside you will find off road parking for one car, lockable bike storage and a patio with furniture. The Bungalow is ideally situated for friends or a small family to explore the beautiful Lakes and the surrounding area. All ground floor. Two bedrooms: 1 x double, 1 x single. Shower room with shower, basin and WC. Kitchen. Dining room. Sitting room with electric flame-effect fire. Gas central heating with electric fire. Electric oven, gas hob, microwave, fridge/freezer, dishwasher, TV with Freeview, DVD, WiFi. Fuel and power inc. in rent. Bed linen and towels inc. in rent. Off road parking for 1 car. Lockable bike storage. Patio with furniture. One well-behaved dog welcome. Sorry, no smoking. Shop 2 mins walk, pub 5 mins walk.